The upcoming Flashpoint movie starring Ezra Miller as Barry Allen will probably be featuring a drop-in by another DC legend, this time Gal Gadot as Wonder Woman. The exact capacity or screen time length is not yet known, but judging by the popularity of the Amazonian’s solo venture this move is no surprise. It will be a busy time for Gal Gadot, as Wonder Woman is already appearing in Justice League and scheduled for a second stand alone picture. The Flashpoint movie has been in production for some time by Warner Bros. A director is not officially attached to the project at this stage. A number have been front-runners or mooted but the position is currently open. The scriptwriters Phil Lord and Chris Miller were originally lined up but quickly dropped out of the running. Since then, just about every director in tinseltown has been linked with the project from Sam Raimi to Robert Zemeckis. Stay posted for future updates on who will be selected as the director. 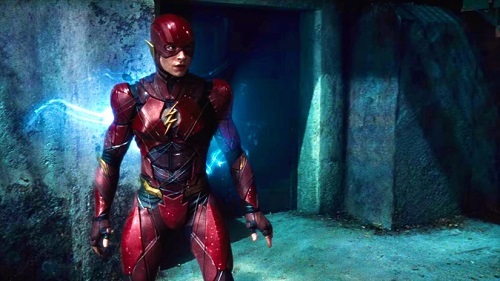 We know that Ezra Miller will be reprising his role as Barry Allen/ The Flash and co-starring with Billy Crudup, Kiersey Clemons and Ray Fisher as Cyborg. The events of the film are inspired by the DC Comic of the same name from 2011. That alternate reality project was created by Geoff Johns and represented a major franchise shifting event. In the comic Barry Allen unwittingly changed the present after time travelling into the past to save his mother. The film is expected to be on cinema screens in 2020.